Brought to you by The American Express ExplorerTM Card, in partnership with Gourmet Traveller magazine. Up to 2 Membership Rewards points per $1 spent on eligible purchases with no points cap 2. 1. 50K BONUS POINTS: OFFER ENDS 15 MAY 2017. SPEND CRITERIA OF $1500 AND CONDITIONS APPLY. 2. TRAVEL CREDIT & MEMBERSHIP REWARDS POINTS: TERMS AND CONDITIONS APPLY. 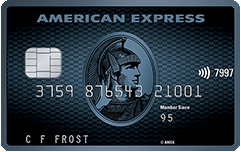 Get to your next destination with the American Express Explorer™ Credit Card. You could be getting lost in the jungles of South East Asia or indulging in decadent Parisian cuisine. Take this quiz to find out where your next adventure is headed. Skydiving, surfing, safaris - take me there! Chill out by the pool with cocktails. A nip of nature is exactly what you need. Get pampered on the way to paradise. Get up in the clouds, or into the wild. Sights, tastes and history —absorb it all. Nothing relaxes like waterfront estates and organic wine. Bamboo huts, mountain sunrises and yoga. Dial down the ceremony, just savour the flavour. Lobster? Duck? Croquembouche? Yes please. Admire the art of expression in the expression of art. Feel at one with tradition, beauty and majesty. Elephants? White-water rafting? It’s safari time. Crave sitting or splashing by the deep blue.